Onions in Drag......Store your Onions in Nylons to keep them fresher longer! Like my onions? I'm storing them in pantyhose to keep them fresh longer. Just put your onions in the legs of a clean pair of pantyhose and tie a knot between each one, when you need to use one just cut below the knot. Onions will keep better if they are not touching and stored in a cool dry place (mine are in my garage), and the pantyhose allows them to get plenty of ventilation. 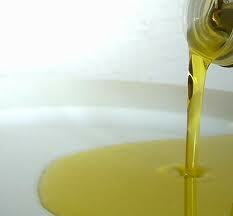 There are many uses for Olive Oil, it's not just for cooking! EVOO is a staple at our house, I pretty much cook everything with it, but did you know it has many other household uses besides cooking. It can be used as a hair detangler, if you or your child or even your pet has a bunch of matted hair you can just work the oil in and gently try to comb it through, or just use as a conditioner. If you have a cat that has a problem with hairballs try to mix olive oil in with the cat food (if they will eat it). It can be used on squeaky door hinges or if you have a zipper that is stuck dab some olive oil on the zipper with a cotton ball and you should be able to work it loose. Coat your shovels or outside tools so dirt doesn't stick to them and to prevent rusting. Rub olive oil into your wooden cutting boards to condition them and prevent cracking, you don't want cracks, that's where bacteria is able to hide. There's a million more but I thought these were fairly common uses, what do you use olive oil for? 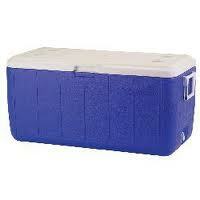 Have you noticed when you unpack your cooler that's been stored in your garage all winter it has kind of a funky smell on the inside? If it's just a mild smell try scrunching up newspapers, closing the lid and leaving it overnight, the newspaper should absorb the odor, a bowl of plain ol baking soda overnight with the lid closed also works. Funny but worth a try........if you like the smell of coffee, put some unused coffee grounds in your cooler with the lid closed and the next day the funky smell will be gone, you'll just have the wonderful aroma of coffee left. If you are ok with the smell of vanilla, wet a paper towel with a small amount of vanilla extract and wipe down the insides of the cooler then leave the paper towel in the bottom overnight. Of course we can never forget good old vinegar, wash the inside with a solution of water and vinegar or use your spray bottle and spray the inside with a vinegar solution and wipe down the sides with paper towels and then leave the paper towels in the bottom overnight. If something has been rotting in your cooler these solutions are probably not going to get rid of the smell, you may have to go to more drastic measures, be careful with bleach and chemicals if this cooler is going to be used for food later on. I will admit when it comes to eating organic it is harder to make $5 Meals but you just do the best you can, we don't eat everything organic but I try where I can, and I'm finding that the prices of organic produce is coming down. Anybody else notice that too? Here's my healthy mostly organic meal for $6.13! 6 Foster Farms chicken thighs for $3.35, I remove the skins (Foster Farms is not Organic, but they are local and do not add hormones or steroids, the chickens they grow are not "caged" but are not "free range" and their feed is not imported from any other country) you decide what is important to you. Here's how I get my Chicken Thighs for $3.35 per meal. The Quinoa can be kind of plain so I cook it in chicken broth, I've had Cilantro left over from a couple meals ago so I've been using it up, I put it in the Quinoa to add more flavor. I garnished the chicken with green onion tops that I grew myself in the windowsill so they were FREE! Lowes Build and Grow Clinic, Free for kids this Saturday April 28! 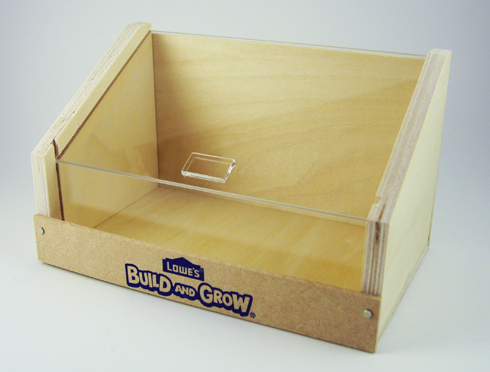 Lowes Build and Grow Clinic this Saturday April 28 at 10:00 AM, Kids can build this Terrarium. Dad's can take the kids and give Mom some free time!!!! It's free but you do have to register Here. Good coupon to print if you've been slowly trying to make the switch to CFL's! Total $5.15, A burger each for the 3 of us and 2 burgers leftover! I added some onion soup mix to the turkey burger for flavor and I chopped up some fresh cilantro and mixed it with my Homemade Butter for the corn, it was awesome. Here's more $5 Meal Ideas. Before you know it I'm going to be plowing fields and milking cows, just kidding but I did make my own butter for the first time yesterday. I think I made it when I was a kid and the teacher brought in a jar of whipping cream and all the kids took turns shaking it until it turned into butter, I didn't have a classroom of children to do the work for me so I used my Kitchenaid. 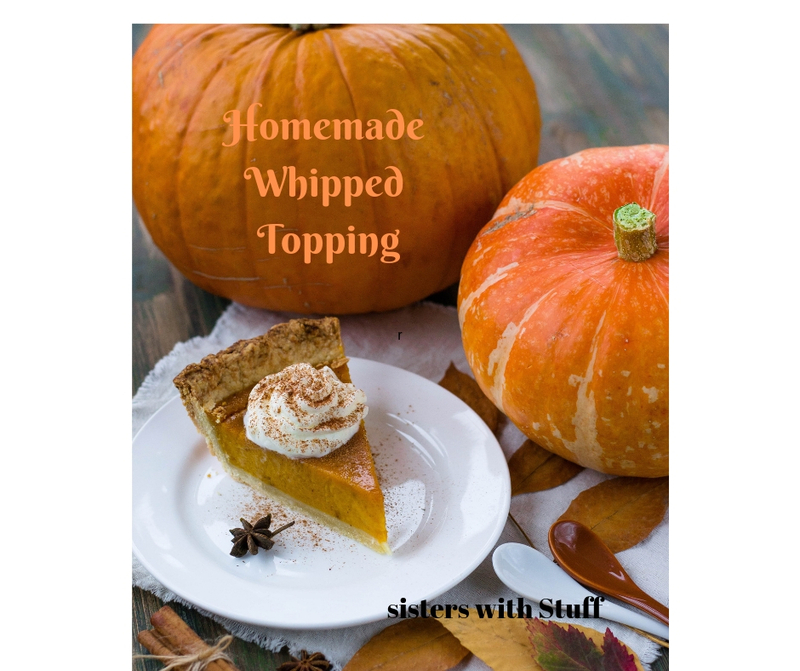 On Monday I posted an article How to make your own whipped cream using heavy whipping cream, if you can do that then you are halfway there. First take your heavy whipping cream out of the fridge and let it sit and warm up a little bit, I used 1/2 pint of the heavy whipping cream to start out with since it was my first time making it, after it's room temperature pour into your mixing bowl and start mixing on medium. When it starts looking like whipped topping you are about halfway there, just keep mixing! You will know it's getting close when the buttermilk liquid starts separating from the butter and you can see the butter is turning yellow. It's actually really cool to watch. I took it out when it was a ball and rinsed it in cold water, I didn't know what to do with the buttermilk so I tossed it, next time I will save it and use it in something. You can also add a little salt, I didn't this time but it's still delicious. Then just put it in a little container and keep it in the fridge, it tastes so good just by itself on toast. Next time I may try some flavored butter, maybe with some herbs or maybe some kind of sweet butter. The possibilities are endless now that I know how easy it is and it only took about 15 minutes to make it. A few good coupons I found to print and save for a sale! A few good coupons to print! I finally ordered an 8x10 Canvas, can't wait to show you! I've been wanting to order one of these for myself, I've just been waiting for the perfect picture of my daughter. I took a really great one last weekend so I placed the order. The 8x10 was totally free so all I had to pay for was the shipping, it's $14.95 no matter where you live in the U.S. If you want a larger one you can take $50.00 off the price, this would be a really sweet, sentimental Mother's Day present or for Grandma. I'm excited to get mine, I'll post a picture when it shows up! Looking for a quick, inexpensive, natural way to make your house smell fabulous, put some orange rinds, ground cinnamon and a little water into a saucepan and simmer on the stove. Smells so good and you're not breathing in chemicals from regular room deodorizers. I grew up on the whipped topping that you buy frozen in the tub, when I was a kid it was all I knew. I didn't know that it wasn't real whipped topping until I was an adult. Once I found out how easy homemade whipped topping is to make, and how much better it tastes, I never went back to the old stuff. I bought a pint of heavy whipping cream for $2.39 and it makes at least the equivalent of one full tub and a little more so cost wise it's a little more expensive than the tubs but so worth it. This is all you need to make one batch: 1 cup heavy whipping cream, 2 Tablespoons Sugar (you can omit the sugar if you want) 1/2 teaspoon vanilla. Try to chill the bowl you are going to mix it in ahead of time, you can use your hand mixer and just mix on medium until it gets fluffy or put it in your Kitchenaid mixer and let it go on medium until it gets fluffy. I know it's easy to just buy the tub or spray can but these few extra steps are worth it and you know exactly what ingredients are in it! ﻿Check out my post I made my own butter using heavy whipping cream! Prilosec Sample is back! Get yours before it's gone! 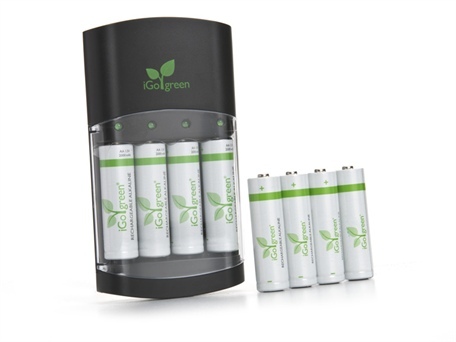 This is a great deal from Woot.com and will pay for itself in no time, $9.99 plus $5.00 shipping. Sign up to get Kellogg's coupons! Have you wondered how all those blogs know what coupons are coming up in the Sunday paper? This is how they find out, Sunday Coupon Preview. You can check every week and find out what inserts we are getting and what coupons will be in each insert. Does this happen to you? 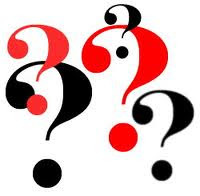 You walk into a store and you see "it"....whatever "it" is that calls to you, "it" could be a purse or a pair of shoes or a bracelet or the latest electronic toy, it doesn't matter, you are in love and you must have it! Try to think about it like this: I didn't know it existed 5 minutes ago and I was relatively happy, can I walk out of this store and pretend that I never saw it? I know it will be possible for me to live a full life without it because I was doing that before I even saw it! If you just walk away chances are you will have forgotten about it by the time you get home. If you are still thinking about it sleep on it, usually after a night's sleep you have a better perspective and you decide that you really can't afford it or simply you just don't need it. Don't get me wrong, it is fun to have nice things sometimes or a new gadget to play with but that feeling will wear off after a short time and the nice thing you bought won't be new anymore and there will be some newer better version of the gadget you had to have and you will have to do it all over again to get that "high". Try to get your "high" by putting money into your emergency fund and watching it grow or putting money into your kids college fund, or by paying off those extra bills and trying to become as debt free as possible. Who knows maybe after a while you'll be addicted to saving and you won't have to fight off those impulses to buy things you don't need. This is very frightening! Maybe I should rethink my drink? 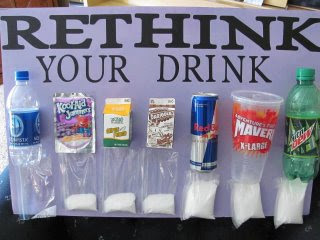 This is pretty eye opening, the amount of sugar that is in the things we drink. I'm just as guilty as the next person, I have a weakness for regular Pepsi but I don't know that diet is any better with all the stuff they put in it to sweeten it. This was being shared on Facebook, I didn't take this photo and I wasn't able to track down the source but whoever you are, good job! Today's the last day to send a Mother's Day card for $1.99 at Cardstore.com! Hurry, today is the last day to choose a Mother's Day card and have it shipped for $1.99. I personally have used cardstore.com twice now and I love the quality of the cards and the convenience, you get to pick a card from their huge selection, then you personalize it with your greeting, name or whatever you want, all they need is the recipients address and they ship it just in time for Mother's Day. You want to do it today because it's only $1.99 total for the card and shipping, you can't even go to the store pick one out, put a stamp on it and mail it for $1.99, you've probably spent that in gas to get there! We got 5 meals plus lunches out of an 11 lb Easter Ham! Right before Easter I bought a bone-in 11 lb ham for $ .99 lb, the first meal was Easter dinner and that fed 4 adults and 2 four year olds, sorry no picture but it turned out fabulous and I even sent our guests home with some ham slices. The next day I put the ham bone and split peas and vegetables in the crock pot for myself, my husband and daughter. The split pea soup was so good and my husband took the leftovers to work the next day. Several days later I made homemade ham and scalloped potatoes, I used my mandolin to julienne the potatoes and onions, the picture below is before I put the cream sauce on and put it in the oven. I planned on taking a picture when it was finished but we just dug in and ate it up. Sooo good and again my husband had leftovers for lunch. A few mornings later my husband made scrambled eggs, ham and vegetables for the 3 of us, sorry no picture I was just enjoying not having to cook and being able to drink my coffee in peace so I didn't think about grabbing the camera. The last meal was yesterday, I diced up the last of the ham and threw in vegetables and white beans and some chicken stock and noodles and voila we had soup, there's still soup left in the fridge we'll eat it over the next few days. Had I known I would be able to stretch the ham so far I would have bought more to put in the freezer. If you break it down that's about $2.00 per meal and actually less if you count all the lunches. I was really proud of myself for using every bit, sometimes you have so much meat left and you can only eat so much so you end up throwing away. It would have been easy to do that and I would justify it to myself that I already got a couple of meals out of it so I got my money's worth but if you think about it like it's actual cash you are throwing out it changes your perspective.